This is the RigSafe Combi - look at all that storage! 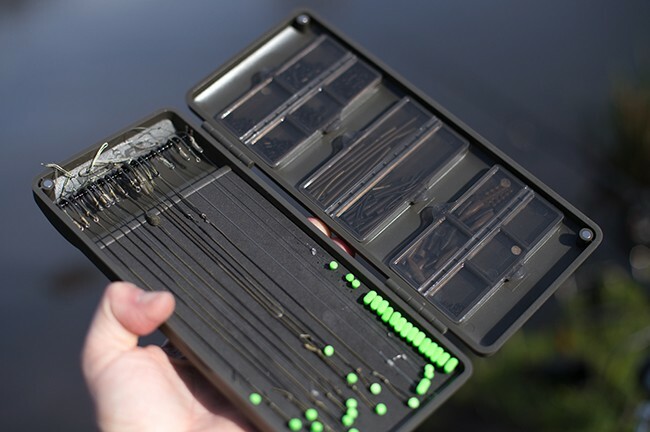 The Mini Rig-Safe Combi is made from high impact plastic and is incredibly strong, plus it is finished in soft touch rubber to allow a good grip in wet conditions. The clever magnetic locking system ensures that it can’t come open during transit, but there are no latches to fiddle about with top open and close it when you have cold hands!